Thank you for your interest in employment at Kenneth Hagin Ministries! Listed below are the open job opportunities. The application is in Digital Paper format. To view the application form, you will need to download the Adobe Acrobat plug-in if you do not already have it. Click here to access the Application. Once the application is completed you can email it to [email protected]. *Note: Applications are kept on file for one year. If you have already applied and want to be considered for an additional position(s), email your name, telephone # and the additional position(s) you are interested in to [email protected]. You do not need to complete a new application. Position Summary: Accounting is looking for an Accounting Clerk with a passion to use their skills to bring the Gospel to the world. If you are sharp, self motivated, detailed and disciplined, come join our team. • Update and maintain accounting journals, ledgers and other records detailing financial business transactions (e.g., disbursements, expense vouchers, receipts, accounts payable). Experience/Skills Required: Basic knowledge of accounting principles, 10 key touch, spreadsheets and experience researching and/or reconciling accounts preferred. Job Specifics: Accounting clerks perform a variety of duties including cashier responsibilities. Applicants should be detailed oriented, organized, thorough, and work at a quick pace. Candidates should possess competency in Microsoft applications including Word, Excel and Outlook and organizational verbal and written communication skills a must. Physical Requirements: This position requires an individual who is able to stand, walk and sit for extended periods of time. Physical movement including but not limited to: bending, kneeling, crawling, reaching, twisting of the upper body, pushing and/or pulling. Working Conditions: Duties performed will require both indoor. Duties must be fulfilled and applicant must remain focused and on task in their environment. Hour of Work & Attendance: Normally scheduled working hours are Monday – Friday 8:00 am to 4:30 pm. Flexibility in these hours will be required during Special Events. Travel may occasionally be required. Lifestyle: Must adhere to the RHEMA Bible Church "Standards of Conduct" and "Staff Commitment". This job is not limited to the description above it is simply to give an overview of the functionality of the position. Managers are able to modify, and or assign tasks as needed for the department or event. All employees could be required to perform tasks not listed in this description. Position Summary: Accounting is looking for an Accounting Cashier with a passion to use their skills to bring the Gospel to the world. This position is responsible for depositing incoming ministry funds on a daily basis, sorting envelopes, making copies, and coordinating with Data Entry personnel to complete other miscellaneous deposits on a daily basis. If you are sharp, self motivated, and innovative, with an attention to detail, come join our team. • Prepares deposits including RBC Bookstore, RBTC Tuition, RSH rent, and other miscellaneous deposits as needed. Experience/Skills Required:Basic knowledge of accounting principles, 10 key touch, spreadsheets and experience researching and/or reconciling accounts preferred. 2 years cashier experience preferred. Working Conditions: Duties performed indoor. Duties must be fulfilled and applicant must remain focused and on task in their environment. Accounting is looking for an Accounting Cashier with a passion to use their skills to bring the Gospel to the world. This position is responsible for depositing incoming ministry funds on a daily basis, sorting envelopes, making copies, and coordinating with Data Entry personnel to complete other miscellaneous deposits on a daily basis. If you are sharp, self motivated, and innovative, with an attention to detail, come join our team. Position Summary: Assist Church Secretary and Associate Pastoral staff with the day to day functions of the Church Office and Rhema Bible Church requirements. Essential Functions: Greet and care for all Rhema Bible Church guests and church members pertaining to Rhema Bible Church and Church Office functions, assist in coordination of We Care benevolence ministry, assist with daily responsibilities concerning pastoral hospital visitation assignments and information, and maintain and organize the North Lobby supplies, coordinate wedding and funeral prep with internal processes, coordinates special events such as baby dedications, water baptisms, Rhema Charities, bi-annual garage sale, Monthly Businessmen's Luncheons, Christmas and Thanksgiving, Angel Tree, etc. interview, coordinate and organize Church Office volunteers, keep, maintain and communicate Church Office staff schedules. Experience/Skills Required: Exceptional People Skills are required, Excel, Word, Strong Verbal and Written Communication. Job Specifics: Requires excellent organizational skills, must be able to effectively communicate. Must be a team player, self motivated and willing to learn, be able to give and receive direction. Must be able to meet deadlines and perform well in stressful situations, remain pliable and stay focused on the task. Physical Requirements: This position requires an individual who is able to stand, walk and sit for extended periods of time. Physical movement including but not limited to: bending, kneeling, reaching, twisting of the upper body, pushing and/or pulling, regular carrying or lifting of up to 25lbs or more. Working Conditions: Duties performed will be indoor. Occasionally duties may be performed outside exposing candidate to on-going weather conditions. Duties must be fulfilled and applicant must remain focused and on task in either environment. Hour of Work & Attendance: Normally scheduled working hours are Monday – Friday 8:00 am to 4:30 pm. Flexibility in these hours will be required during Special Events. Travel is required. Lifestyle: Must adhere to the RHEMA Bible Church "Standards of Conduct" and "Staff Commitment". Volunteer at least once a month in the children's classrooms during church services. Position Summary: Performs all clerical duties in regard to RHEMA Bible Training Center 3 YR Specialty Students. Essential Functions: Assist the Dean and Instructors for RSBS, RSPM, RSWM, and RSW. Organized Special Projects Coordinate Instructor Payroll Reporting, Assist Missions Director with RBTC Mission Trips, Textbook Ordering, Application and Enrollment Statistics Tracking and Reporting, RHEMA Alumni Audit Program, and RBC/RBTC Special Event Planning, Student Advisor Coordinator and Assisting as needed in the Admissions Office. Experience/Skills Required: Excel, Word, Strong Verbal and Written Communication. Working Conditions: Duties performed will require both indoor. Occasionally duties may be performed outside exposing candidate to on-going weather conditions. Duties must be fulfilled and applicant must remain focused and on task in either environment. Lifestyle: Must adhere to the RHEMA Bible Church “Standards of Conduct” and “Staff Commitment”. Volunteer at least once a month in the children’s classrooms during church services. Applicants must possess a love for children, be able to lift and care for children weighing up to 30 pounds, and be patient and responsive to children’s needs. Hours: Noon–6:00 p.m. Position Summary: Working in a team environment securing, patrolling and protecting the various properties and people of RHEMA Bible Church. Patrol and protect the RHEMA property. Experience/Skills Required: Applicants must have previous experience in security or law enforcement with certified classroom training that will satisfy the State of Oklahoma CLEET (Council on Law Enforcement, Education and Training) requirements. A current CLEET Armed Security Guard license would also meet the requirements for application. Hour of Work & Attendance: Varied, evenings Saturday’s and Sundays may be mandatory as necessary. Travel may occasionally be required. Lifestyle: Must adhere to the RHEMA Bible Church “Standards of Conduct” and “Staff Commitment”. Position Summary: This position includes but is not limited to the repair and maintenance of ministry vehicles and equipment. Occasional operation of our commercial vehicles will be required. Essential Functions: Repair and maintain motorized mechanical equipment. Training: Must be familiar with heavy equipment and grounds equipment Preference for at least 2 years experience. Experience/Skills Required: ASE Certified Mechanic. Must have CDL license. Job Specifics: Knowledge of garage operations and management. Requires excellent organizational skills, must be able to effectively communicate needs and ideas, possess applicable creativity. Must be a team player, self motivated and willing to learn, be able to give and receive direction and design with end user in mind. Must be able to meet deadlines and perform well in stressful situations, remain pliable and stay focused on the task. Working Conditions: Duties performed will be indoor and outdoor. Duties must be fulfilled and applicant must remain focused and on task in their environment. Hour of Work & Attendance: Normally scheduled working hours are Monday – Friday 8:00 am to 5:00 pm. Flexibility in these hours will be required during Special Events. Travel may occasionally be required. Position Summary: The Audio Engineer is responsible for the various audio needs of Rhema Bible Church and Rhema Bible Training Center, and to assist with RSI Audio. • Prepare, set up, operate, and maintain audio equipment for Living Faith Crusades in various churches at various locations throughout the U.S.
• Perform routine maintenance and repairs on audio equipment such as, soldering audio cables, replacing speaker drivers, etc. Experience/Skills Required: 3 to 5 years audio experience. Knowledge of various scale PA systems. Sales and customer service experience a plus. Physical Requirements: This position requires an individual who is able to stand, walk and sit for extended periods of time. Physical movement including but not limited to: bending, kneeling, crawling, reaching, twisting of the upper body, pushing and/or pulling.. Working Conditions: Duties performed indoor and outdoor. Exposure to the elements are possible. Duties must be fulfilled and applicant must remain focused and on task in their environment. Position Summary: Prompt and efficient, inspection, repair, construction, and maintenance of campus buildings and other facilities. Experience/Skills Required: Three years of previous experience is preferred in commercial and residential carpentry, flooring installation, repair and maintenance a plus. Applicants must possess a basic understanding of carpentry tools and general carpentry skills. Must be detail oriented, have high standards, and able to work independently. Job Specifics: Knowledge of residential and commercial construction and remodeling trades, practices, procedures, techniques, tools and equipment, materials, specifications, quality control, and safety. Clean work areas, machines, or equipment, to maintain a clean and safe job site. Proficient at the following tasks: stain-grade trim work, hang doors, drill and set door hardware, set windows, and utilize appropriate math skills. Mathematical skills and analytical skills necessary to do material estimates. RHEMA Communications Department is now accepting applications for unpaid internship positions. Part-time and full-time opportunities are available. Previous experience in project management, writing and/or graphic design is preferred. Position Summary: IT is looking for a Data Analyst with a passion to use their skills to bring the Gospel to the world. If you are sharp, self motivated, and innovative, come join our team. Experience: Degree in computer related field or 3-5 years experience. A bachelor's degree in Computer Science, Information Systems, or Computer Engineering is preferred, but not required if work experience and skill levels are equivalent. Candidates should include a resumé with their application. Job Specifics: The data analyst is responsible for operations, maintenance and data integrity of all databases as well as analyzing data and providing guidance on how best to use data tools for business decisions. Familiarity with the Microsoft SQL Server environment is preferred. Candidates should be energetic and self-motivated, detail-oriented, and able to work independently as well as in a team environment. This position requires a passion for problem solving, a thorough understanding of relational databases, and the ability and willingness to learn new concepts quickly. Working Conditions: Duties performed will require both indoor and occasionally outdoor environments. Duties must be fulfilled and applicant must remain focused and on task in either environment. This position in the Data Processing Department requires solid general office experience, accurate data entry skills, good phone etiquette, and the ability to type at least 45 wpm. Candidates must be a team player, detail-oriented, comfortable with various computer programs, and enjoy repetitive tasks. Customer service experience in a call center environment is helpful. Position Summary: To serve the needs of Rhema Bible Church Members, Kenneth Hagin Ministry Partners and the General Public. Essential Functions: Heavy emphasis on Data Entry. Process all incoming communications maintain and process all outgoing communication of the ministry via phone calls, mail, email, web, etc. Preparation and printing of ministry letters and communications. Maintain data base. Prepare and host all conference registration. Maintain and care for our ministry partners and church members. Experience/Skills Required: Partner Services Clerks serve the needs of KHM partners. Candidates must have at least one year of clerical, customer service, or call center experience with good phone etiquette and accurate data entry skills. Applicants also must be attentive to detail, able to effectively communicate, capable of multi-tasking in a fast-paced environment, and possess patience and a heart to serve people. Working Conditions: Duties performed to be indoor. Duties must be fulfilled and applicant must remain focused and on task in their environment. Position Summary: The Broadcast Media Director holds the ultimate responsibility for the organization's the media activities and oversees the development and delivery of all TV, radio, video, live streaming and various other media materials utilized by the ministry. The Broadcast Media Department exists to take the Gospel of Jesus Christ to the world through the mediums of Television, Radio and the Internet as well as supporting the video and media production needs of Rhema Bible Church, Rhema Bible Training College, and Kenneth Hagin Ministries. Education: Bachelor's or Masters Degree with a minimum of five (5) years experience in senior broadcast media roles. Experience/Skills Required: The requirements listed below are representative of the knowledge, skills and abilities required. Work well under pressure with very tight timeframes and deadlines. Experience managing and motivating volunteers. Minimum 7 years experience in the broadcast engineering field. Minimum 3 years broadcast engineering project management experience. Ability to plan/develop, install and design broadcast media systems. Excellent knowledge and directing skill. Excellent knowledge of signal processing, transport and transmission equipment. Excellent knowledge of digital audio and video standards and equipment. Experience working in a live broadcast environment. Knowledgeable of FCC requirements, US Digital, Copyright and Licensing laws. Proven track record of success in senior media roles. Confident and dynamic leader; forward and future thinker. Strong creative abilities and outlook. Strong ability to strategize and execute ideas. Job Specifics: Manage all broadcast media venues for the ministry. Create and develop and implement new innovative ways to communicate the mandate and message. Working closely with Communications, Marketing and IT Team to achieve results. Maintain effective internal communications to ensure all relevant ministry departments are kept informed. Strategizing and creation of partner relationships. Hour of Work & Attendance: Flexibility is required and weekends are a must. Travel is occasionally required. Position Summary: The IT Director is responsible for all information technologies, including voice and data, server infrastructure, databases and CRM software and end user support along with the online presence on web, social media and e-commerce at Rhema Bible Church, Kenneth Hagin Ministries and Rhema Bible Training College. Education: Bachelor's degree in computer science or related field or related experience. Knowledge and applicable understanding of current technologies and products used in the industry. Responsible for the performance and management of IT staff and volunteers. Network Support – ensure the data network is properly designed and configured, and in continual operation. Provide timely recommendations for upgrades. Position Summary: The marketing Director holds the ultimate responsibility for the organizations marketing activities and oversees the development and delivery of a fully integrated marketing strategy for the ministry. Education: Bachelor's or Masters Degree in Marketing with a minimum of five (5) years experience in senior marketing roles. Job Specifics: Manage all marketing for the ministry. Develop and implement the marketing strategy for the ministry in line with mandate and objectives. Creating and developing new innovative ways to communicate the mandate and message. Co-ordinate marketing campaigns with events and conferences. Creation and publication of all marketing materials. Planning and implementation of promotional campaigns. Overall responsibility for brand management and corporate identity. Monitor and report on effectiveness of marketing communications. Creation of wide range of different marketing materials. Working closely with Communications and Web Team to achieve results. Maintain effective internal communications to ensure all relevant ministry functions are kept informed of marketing and branding strategies. Strategizing potential partner relationships. Position Summary: Developing, implementing and teaching curriculum for elementary children at Rhema Bible Church. Must be highly organized, self motivated, work well with a team and be able to lead a group of volunteers. Education, Certificates and Specialized Training: High School Diploma or GED Degree from RBTC preferred. Job Specifics: Knowledge of developmental ages and ability to plan scoping sequence. Requires excellent organizational skills, must be able to effectively communicate needs and ideas, possess applicable creativity. Must be a team player, self motivated and willing to learn, be able to give and receive direction. Must be able to meet deadlines and perform well in stressful situations, remain pliable and stay focused on the task. Physical Requirements: This position requires an individual who is able to stand, walk and sit for extended periods of time. Physical movement including but not limited to: bending, kneeling, crawling, reaching, twisting of the upper body, pushing and/or pulling, regular carrying or lifting of up to 25lbs or more. May occasionally be required to climb ladders or on children’s play equipment. Working Conditions: Duties performed will require both indoor and outside exposure. Occasionally duties may be performed outside exposing candidate to on-going weather conditions. Duties must be fulfilled and applicant must remain focused and on task in either environment. Work Hours and Attendance: Normally scheduled working hours are Monday – Friday 8:00 am to 4:30 pm. Flexibility in these hours will be required during Special Events. Travel is required. Position Summary: Accounting is looking for a Payroll Clerk with a passion to use their skills to bring the Gospel to the world. If you are sharp, self-motivated, detailed, disciplined, and dedicated to confidentiality come join our team. Essential Functions: The Payroll Clerk position is responsible for collecting timekeeping information, incorporating a variety of deductions into a periodic payroll, and issuing pay and pay-related information to employees. Experience/Skills Required: Basic knowledge of payroll law, and practices. General knowledge of accounting principles. Analyzing information, attention to detail, reporting skills, verbal communication, basic spreadsheet knowledge and experience with payroll data entry required. Maintains employee confidence and protects payroll operations by keeping information confidential. Job Specifics: The Payroll Clerk performs a variety of duties including all payroll activities. Prepares reports by compiling summaries of earnings, taxes, deductions, leave, disability, and nontaxable wages. Resolves payroll discrepancies by collecting and analyzing information. Determines payroll liabilities by calculating employee federal and state income and social security taxes and employer's social security. Applicants should be detailed oriented, organized, thorough, and work at a quick pace. Candidates should possess competency in Sage ABRA software as well as Word, Excel and Outlook. Position Summary: Working in a team environment maintaining the various properties of RHEMA Bible Church. A housekeeper promotes sanitary conditions which prevent the spread of infection and odors. • Operate various mechanical cleaning equipment such as vacuums, polishers, buffers, etc. Experience/Skills Required: Ability and tolerance for physical work with exposure to natural elements. Physical Requirements: This position requires an individual who is able to stand, walk and sit for extended periods of time. Physical movement including but not limited to: bending, kneeling, crawling, reaching, twisting of the upper body, pushing and/or pulling. Ability to lift and move up to 60lbs. Climbing and working from ladders occasionally. Working Conditions: Duties performed will be both indoor and outdoor. Duties must be fulfilled and applicant must remain focused and on task in their environment. Some work areas may be damp, dusty and dirty. Hour of Work & Attendance: Normally scheduled working hours are Monday thru Friday 8:00 am to 4:30 pm. Flexibility in these hours will be required during Special Events. Evenings Saturday's and Sundays may be mandatory as necessary. Travel may occasionally be required. Position Summary: Communications is looking for a Project Manager with a passion to use their skills to bring the Gospel to the world. If you are sharp, self motivated, and innovative, come join our team. Experience/Skills Required: Degree in related field or 3-5 years experience preferred. Job Specifics: Project Managers are integrally involved in creative projects for all programs and outreaches. They organize and oversee the planning and implementation of materials and events in a variety of media (e.g. Web content and promotional pieces) and special events (e.g. Winter Bible Seminar and Campmeeting). Candidates must be highly motivated and self-directed, have a heart to serve, and work well in a dynamic, deadline-oriented environment. The position requires knowledge of Word and Excell, excellent written and verbal communication skills and he ability to work well under pressure and multitask. A college degree and/or relevant business experience is preferred. Position Summary: Prompt and efficient, preparation, and maintenance of all ministry grounds. Education: High School diploma or GED. Landscaping experience is helpful, but not required. Experience/Skills Required: The groundskeeper must be self-motivated, knowledge of planting, pruning, edging, raking, trimming, commercial lawn mower, hedgers, leaf blowers, weed eater and fertilizing. Job Specifics: Groundskeepers mow and trim lawns, plant and maintain flowers, trees, and shrubs, remove snow and dirt, and occasionally assist other departments in a variety of jobs about the campus. Applicants must enjoy working outdoors in all types of weather and be comfortable operating outdoor machinery. Physical Requirements: This position requires an individual who is able to stand, walk and sit for extended periods of time. Physical movement including but not limited to: bending, kneeling, crawling, reaching, twisting of the upper body, pushing and/or pulling. Must be able to lift 50lbs. Groundskeepers mow and trim lawns, plant and maintain flowers, trees, and shrubs, remove snow and dirt, and occasionally assist other departments in a variety of jobs about the campus. Applicants must enjoy working outdoors in all types of weather and be comfortable operating outdoor machinery. Landscaping experience is helpful, but not required. Position Summary: Performs a variety of basic technical tasks related to assisting in the servicing and repairing of different types of heating, air conditioning, refrigeration equipment and appliances on Campus and other Rhema Facilities. Experience/Skills Required: Applicants must possess a basic understanding of HVAC systems. Must be detail oriented, have high standards, and able to work independently. Requires basic knowledge of Heating, Air conditioning and or refrigeration. Mechanical inclined individual with working knowledge of electricity and electrical circuits, working knowledge of hand tools. Aptitude with schematics and diagrams a plus. Hour of Work & Attendance: Normally scheduled working hours are Monday – Friday 7:00 am to 4:00 pm. Flexibility in these hours will be required during Special Events. Travel may occasionally be required. Position Summary: Provides a wide range of technical support to RHEMA employees such as performing installations and upgrades and helping employees to utilize software programs effectively and effectively. Education: High School Graduate, Home School Graduate, GED Recipient. Position Summary:Position Summary: Rhema's IT department is looking for a sharp IT project manager with a passion for working in a ministry environment. The IT Project manager serves as the liaison between internal customers and IT technical staff. They assemble business level requirements from the customers and work with analysts, developers and dbas to create IT solutions to meet the business requirements. They manage projects through the lifecycle of initiation, planning, execution and closure. The IT Project manager has a skill set that includes both technical skills and management skills, and is able to conceptualize technical solutions in order to enhance internal organizational effectiveness, and provide solutions that serve the needs of RHEMA's constituents, partners, students and alumni. Experience/Skills Required: At least 3 years of professional Project Management experience. Excellent people skills, good communication skills, strong problem solving skills, time management, leadership and communications skills. Ability to adapt and quickly learn new technologies. Understanding of business concepts such as marketing, accounting/finance and management. Candidates must have a high level understanding of various IT technologies and platforms, from larger CRM / database systems to network and system administration solutions to web development platforms. Job Specifics: Plan, maintain, write documentation, and procedures for IT projects, Manage projects through the lifecycle of initiation, planning, execution and closure. The IT Project manager has a skill set that includes both technical skills and management skills, and is able to conceptualize technical solutions in order to enhance internal organizational effectiveness, and provide solutions. Position Summary: IT is looking for a system administrator with a passion to use their skills to bring the Gospel to the world. The system administrator provisions, installs, configures, operates and maintains system hardware and software and related infrastructure. The system administrator participates in technical research and development to enable continuing innovation and ensures that system hardware, operating systems, software systems, and related procedures adhere to organizational standards. If you are sharp, self-motivated, and innovative, come join our team. Candidates should include a resume. Experience/Skills: Administration of server infrastructure, networking, and data-center operations for Windows and Linux servers. Effectively plan, install, configure and optimize IT infrastructure to achieve high availability and performance. Proven ability to create and deliver solutions tied to business growth, organizational development and systems/network optimization. Skilled problem identifier and problem solver with excellent communication skills comfortable managing systems and projects in a wide range of IT environments. Job Specifics: Administers and maintains approximately 50 servers in a mixed Windows / Linux environment, plans and configures workstation policies and implementations, provides level II user support, writes documentation and procedures. Experience/Skills Required: Basic knowledge of accounting principles, 10 key touch, spreadsheets and experience researching and/or reconciling accounts preferred. 2 years cashier experience preferred. Position Summary: This position includes but is not limited to the repair and maintenance piping, and fixtures involved in the distribution and use of water in Rhema buildings and properties, including supply and removal of liquid and waterborne waste. Essential Functions: Repair and maintain plumbing systems on all Rhema properties. Must be familiar with plumbing systems, plumbing tools, and schematics. Preference for at least 2 years experience. Experience/Skills Required: Must possess plumbing license. Ability to cut pipe to accurate measure, bend and thread it, and construct water, air, and gas tight joints for pressure specified for testing purposes by plumbing codes. The plumber will have a working familiarity with size, type, weight, ID/OD measurement of pipe; types, sizes, choices of elbows; couplings, bushings, reducers; type and selections of tees; types, sizes, uses of straps; excavation; cleanouts; floor and area drains; locating a stoppage, removal of stoppage; and waste/slip joints. Must have good knowledge of local, regional, and national Plumbing Code. Ability to read and work from drawings and schematics. Job Specifics: Knowledge of plumbing operations and management. Requires excellent organizational skills, must be able to effectively communicate needs and ideas, possess applicable creativity. Must be a team player, self motivated and willing to learn, be able to give and receive direction and design with end user in mind. Must be able to meet deadlines and perform well in stressful situations, remain pliable and stay focused on the task. considerable use of your arms and legs and moving your whole body, such as climbing, lifting, balancing, walking, stooping, bending, kneeling, crawling, reaching, twisting of the upper body, pushing and/or pulling and handling of materials. Position Summary: Working in a team environment setting up Christmas Lights on the various properties of RHEMA Bible Church. • Assisting with all special event functions. • Driving ministry vehicles for transportation of team members and supplies. Physical Requirements: This position requires an individual who is able to stand, walk and sit for extended periods of time. Physical movement including but not limited to: bending, kneeling, crawling, reaching, twisting of the upper body, pushing and/or pulling. Ability to lift and move up to 40lbs. Climbing and working from ladders up to and including 30' extension ladders. Hour of Work & Attendance: Normally scheduled working hours are Monday Tuesday Thursday Friday 12:30 am to 7:30 pm Wednesday 12:30 – 6:00pm and Saturday 9:00am until 12:00pm. Flexibility in these hours will be required during Special Events. Travel may occasionally be required. Position Summary: Produce CD's and DVD's on towers as directed. Support and assist in all department functions. Control Room duties including recording, reviewing and editing of all RBTC classes. Essential Functions: Produce and replicate all media sources of the ministry. Assure quality controls and inventory. Training: Experience in a production-oriented environment is helpful. Tower and replication equipment experience is a plus. Experience/Skills Required: The position requires basic knowledge of inventory and stocking procedures, the ability to occasionally lift and move heavy stock, and the ability to work in a production environment utilizing various types of machinery. Candidates must be energetic, self-motivated, and attentive to detail, able to work well with others, and enjoy repetitive tasks. Basic computer skills are helpful. Job Specifics: Produce media sources, update label information and layout for specific products, inert album covers, package CD and DVD series, package CD and DVD single units, assist with order fulfillment, quality control, on campus media deliveries, oversee and execute all duties pertaining to the RBTC media sales area, setup and maintain media area during special events, year end inventory and stock, assisting MDD secretary. The Media Duplication Department is looking for a hard-working, self-motivated, energetic, organized team player to help with a variety of tasks. The candidate must work well with others, be versatile, and be willing to learn data entry and how to work the Express Machines. Experience/Skills Required: Preference for at least 2 years garage experience. CDL and familiarity with heavy equipment and grounds equipment is a plus. Applicants must possess a love for children, be able to lift and care for children weighing up to 30 pounds, and be patient and responsive to children’s needs. Hours: 7:00 a.m.–1:00 p.m. 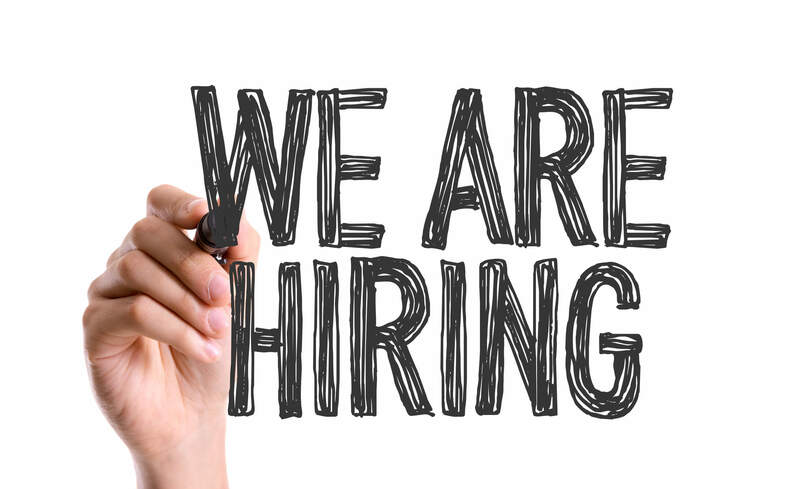 The NRC is seeking a full-time Front Desk Attendant who has excellent verbal skills and who enjoys working with people. Applicant must be able to communicate, enforce and uphold all NRC usage guidelines. Position Summary: The NRC kitchen helper is responsible for the food preparation and kitchen inventory of the NRC Concession area. Lunch menus are created and prepared daily during the work week. Coordination of NRC kitchen volunteers. Ensuring staff and volunteers adhere to the NRC Food Court Operating Procedures. Maintain Cleanliness and Department of Health Standards of ALL Food Areas. Experience/Skills Required: Food preparation and commercial kitchen experience, current food handlers permit, cashier experience a plus. Working Conditions: Duties performed will be indoor. Duties must be fulfilled and applicant must remain focused and on task in their environment. Hour of Work & Attendance: Flexible working hours are between Monday – Friday 7:00 am to 3:00 pm. Flexibility in these hours will be required during Special Events. Travel may occasionally be required. This position is a full-time position, which requires working during the week and during some church services. Position Summary: Prompt and efficient, prepping, painting and touching up all manners of surfaces, both interior and exterior. Experience/Skills Required: Applicants must have knowledge of primers, sealers, stain killers, various types of paint, and wall coverings Three years of previous experience is preferred in commercial and residential painting techniques. Experience with high volume painting and turn process. Must be detail oriented, have high standards, and able to work independently. Job Specifics: Application of primers, sealers, stain killers, various types of paint, and wall coverings, operate painting equipment, and finish wood surfaces and walls in new construction and remodeling, commercial and residential painting techniques, maintain condition and supply of painting product. Essential Functions: Process all incoming communications maintain and process all outgoing communication of the ministry via phone calls, mail, email, web, etc. Maintain data base and ensure product order fulfillment. Prepare and host all conference registration. Maintain and care for our ministry partners and church members. Position Summary: Proofread copy and typeset proofs for various products such as books, magazines, brochures, correspondence, and the Internet. Present information in an honest, appealing, informative, concise, and easy-to-understand manner in order to effectively communicate the heart of the ministry. Experience/Skills Required: The requirements listed below are representative of the knowledge, skills, and abilities required. Candidates must be attentive to detail. Education: Bachelor’s degree in English, Journalism, or a related field is desired but not required if work experience and skill level are equivalent. Job Specifics: Proofread print articles and other projects. Proofread assigned jobs for Rhema Bible Church, Kenneth Hagin Ministries, and Rhema Bible Training Center. These include but are not limited to news releases, event coverage, letters, magazine feature articles based on interviews, ads, teaching articles, and items for other departments. Format copy according to department style guide. Communicate with project managers and graphic designers as needed to ensure the best possible product. Adjust all products and other copy to meet the needs of customers, marketing, and management. Organize workload for efficient time management and balance. Write and edit as needed. Assist Director of Communications and other editorial staff as needed. Physical Requirements: This position requires an individual who is able to sit at a desk for eight hours a day. Hours of Work & Attendance: Normally scheduled working hours are Monday–Friday, 8:00 a.m. to 5:00 p.m. Flexibility in these hours will be required during Special Events. Travel may occasionally be required. Position Summary: Assist RMAI/Alumni Director and Missions Coordinator with the day to day functions of the Alumni and RMAI Missionaries. Essential Functions: Greet and care for all guests and visitors. Organize and process the annual RAA membership renewals. Initiate project requests to the Communications Department, oversee mailings, process, print, and mail alumni cards. Assist with all website password and login issues and work as liaison between RAA and RMAI members and IT. Access and troubleshoot, reset passwords and set up new accounts. Maintain alumni records on database program. Coordinate missionary support, process support applications. Coordinate, track, and maintain missionary quarterly reports. Coordinate and send bi-monthly donor reports. Coordinate and communicate various report status to Missions Coordinator. Oversee and coordinate missionary housing and missionary directory on website. Experience/Skills Required: Exceptional people skills are required, Excel, Word, strong verbal and written communication. Mission's experience a plus. Job Specifics: Requires excellent organizational skills. Must be able to effectively communicate. Must be a team player, self motivated and willing to learn, be able to give and receive direction. Must be able to meet deadlines and perform well in stressful situations, remain pliable and stay focused on the task. Hour of Work & Attendance: Normally scheduled working hours are Monday – Friday 8:00 am to 4:30 pm. Flexibility in these hours will be required during Special Events. Position Summary: To serve the needs of Rhema Bible Church Members, Kenneth Hagin Ministry Partners and the General Public to obtain materials which aid in spiritual growth. Essential Functions: Prepare store for daily opening, maintain service CD stock, process returns and restock items, maintain store supplies, assist customers, inventory processes, maintain overall appearance of store. Education: High School Diploma or GED. Retail experience a plus. Experience/Skills Required: Strong people skills, must be attentive to detail, able to effectively communicate, capable of multi-tasking in a fast-paced environment, and possess patience and a heart to serve people. Knowledge of Outlook, Word, Excel, and Microsoft Publisher. Job Specifics: Customer service relations, cashier and cash handling processes, quality control, order processing, guest relations, year end inventory, interoffice relations. Working Conditions: Duties to be performed indoor. Duties must be fulfilled and applicant must remain focused and on task in their environment. Hour of Work & Attendance: Normally scheduled working hours are Monday – Friday 9:30 am to 6:00 pm. Flexibility in these hours will be required during Special Events. Travel may occasionally be required. Position Summary: To serve the needs of Rhema Correspondence Bible School students to obtain materials which aid in spiritual growth. Essential Functions: Data entry, prepare and maintain lesson supplies, process orders, restock items, maintain supplies, communicate with and assist students, maintain overall office appearance and organization. Education: High School Diploma or GED. Clerical experience a plus. Experience/Skills Required: Strong people skills, must be attentive to detail, able to effectively communicate, capable of multi-tasking in a fast-paced environment, and possess patience and a heart to serve people. Data entry skills. Knowledge of Outlook, Word, Excel, and Microsoft Publisher. Job Specifics: Customer service relations, quality control, order processing, guest relations, inventory, and interoffice relations. Hour of Work & Attendance: Varying scheduled working hours from Monday – Friday 8:00 am to 6:00 pm. Flexibility in these hours will be required during Special Events. Travel may occasionally be required. Position Summary: Prompt and efficient, preparation, and maintenance of all Rhema Ranch grounds, buildings, and equipment. Education: High School diploma or GED. Landscaping experience and food handlers permit is helpful, but not required. Job Specifics: Ranch Helpers assist in all aspects of Rhema Ranch operations. Applicants must enjoy working outdoors in all types of weather and be comfortable operating outdoor machinery. Working Conditions: : Duties performed will be indoor and outdoor. Duties must be fulfilled and applicant must remain focused and on task in their environment. Position Summary: Maintain and manage properties and agreements regarding the Rhema Student Housing Facilities. Essential Functions: Prepare and execute agreements, prepare and monitor work orders, oversee move outs, maintain waiting list, communicate with various departments, prepare and distribute monthly reports. Prepare and host annual housing meetings. Manage and maintain clubhouse reservations. Review and revise Student Housing Handbook annually. Experience/Skills Required: Strong computer skills required. Strong Excel and Word skill required. Experience with rental agreements and property management a plus. Job Specifics: Knowledge of property management and maintenance and the ability to plan events accordingly. Requires excellent organizational skills, must be able to effectively communicate needs and ideas. Must be a team player, self motivated and willing to learn, be able to give and receive direction. Must be able to meet deadlines and perform well in stressful situations, remain pliable and stay focused on the task. Physical Requirements: This position requires an individual who is able to stand, walk and sit for extended periods of time. Physical movement including but not limited to: bending, kneeling, climbing stairs, crawling, reaching, twisting of the upper body, pushing and/or pulling. Working Conditions: Duties performed will be indoor and outdoor. Duties must be fulfilled and applicant must remain focused and on task in either environment. Position Summary: Prompt and efficient, preparation, set up and tear down, for all campus events. Maintain, organize, and supervise the tool crib inventory. Experience/Skills Required: Must be detail oriented, have high standards, and able to work independently. Job Specifics: Set up all major events. Maintain repair and adjusting flags for honor days. Oversee Tool Crib, stock, maintenance, and inventory. Maintain, move and repair ministry furniture, Wash, fold and iron ministry linens. Install and remove NRC flooring as required for events. Maintain, move, set up, tear down and repair inflatable games for all events. Clean and organize storage buildings. Working Conditions:Duties performed will be indoor and outdoor. Duties must be fulfilled and applicant must remain focused and on task in their environment. Hour of Work & Attendance: : Normally scheduled working hours are Monday – Friday 8:00 am to 4:30 pm. Flexibility in these hours will be required during Special Events. Travel may occasionally be required. Position Summary: Prompt and efficient, preparation and fulfillment of orders. Maintain, organize, and track print inventory and "I Believe" products. Experience/Skills Required: Must be detail oriented, have high standards, and able to work independently. Must have valid and clean drivers license. Excel spreadsheet knowledge and efficiency. Understanding of data base function. Job Specifics: Work hand in hand with Media Duplication, Faith Library, and Partner Service departments to process and ensure accurate order fulfillment. Oversee daily inventory and stock duties. Produce, maintain and communicate inventory repots in Excel and Data Base software. Provide support and help to coworkers throughout the Shipping and Receiving department to maintain department goals and overall cleanliness. Position Summary: Prompt and efficient, preparation and fulfillment of all mail. Maintain, organize, track and post international mail parcels. Job Specifics: Work hand in hand with Media Duplication, Faith Library, Partner Service, and RBTC Admissions departments to process and ensure accurate US Mail and International Mail. Meter and affix postage to all ministry mail. Track and communicate with parcel providers regarding ministry account. Provide support and help to coworkers throughout the Shipping and Receiving department to maintain department goals and overall cleanliness. Position Summary: Assist with and execute all special event preparation as directed by the Special Event Manager. Essential Functions: Prepare and organize communications, prepare and organize event supplies, interact and communicate with multiple departments and vendors, organize and confirm volunteers for events. Job Specifics: Knowledge of children’s developmental ages and ability to plan events accordingly. Requires excellent organizational skills, must be able to effectively communicate needs and ideas, possess applicable creativity. Must be a team player, self motivated and willing to learn, be able to give and receive direction. Must be able to meet deadlines and perform well in stressful situations, remain pliable and stay focused on the task. Physical Requirements: This position requires an individual who is able to stand, walk and sit for extended periods of time. Physical movement including but not limited to: bending, kneeling, crawling, reaching, twisting of the upper body, pushing and/or pulling, regular carrying or lifting of up to 25 lbs or more. May occasionally be required to climb ladders or on children’s play equipment. Position Summary: This position is underneath the Student Ministries Pastor serving in a team setting in the role of high school director. Essential Functions: Work as part of a team to prepare and organize sermons and lesson plans. Provide insightful, creative and relevant Biblical instruction to youth. Lead a group of volunteers plan and implement social functions and special events. Develop a repore with students as well as their parents. Education, Certificates and Specialized Training: High School Diploma or GED. Presentation skills a must. Strong conflict resolutions skills required. Must possess strong administrative skills to enjoy, function, and excel in a team atmosphere. Must demonstrate flexibility and be able to respond to changing needs throughout the daily and weekly schedule. Experience/Skills Required: Must have prior experience as a youth minister, whether paid or volunteer. Excel, Word, Strong Verbal and Written Communication. Must have experience in presenting sermons and lessons to students. Job Specifics: Knowledge of children's and teenage developmental ages and ability. Requires excellent organizational skills, must be able to effectively communicate needs and ideas, possess applicable creativity. Must be a team player, self motivated and willing to learn, be able to give and receive direction. Must be able to meet deadlines and perform well in stressful situations, remain pliable and stay focused on the task. Physical Requirements: This position requires an individual who is able to stand, walk and sit for extended periods of time. Physical movement including but not limited to: bending, kneeling, crawling, reaching, twisting of the upper body, pushing and/or pulling, regular carrying or lifting of up to 25lbs or more. May occasionally be required to climb ladders or on children's play equipment. Hour of Work & Attendance: Normally scheduled working hours are Monday – Friday 8:00 am to 4:30 pm. Working during church services as well as some week nights as well as weekends required. Flexibility in these hours will be required during Special Events. RHEMA Bible Church a.k.a Kenneth Hagin Ministries’ IT Department has an opening for a support specialist. If you have a knack for working with people, are technically savvy and have a desire to work in the ministry, this is the job for you. This position provides a wide range of technical support to RHEMA employees such as performing installations and upgrades and helping them use software effectively in their work. Candidates should be energetic and self-motivated, detail-oriented, and able to work with minimal supervision in a team environment. Communications is looking for a Transcriptionist with a passion to use their skills to bring the Gospel to the world. If you are sharp, self motivated, and innovative, come join our team. Job Specifics:Transcription requires a high degree of focus. The ability to concentrate and excellent short term memory are essential. Knowledge of Word and Excell, excellent written and verbal communication skills, and the ability to work well under pressure and prioritize are crucial. A college degree and/or relevant business experience is preferred. Position Summary: Primary responsibilities include but are not limited to setup and operation of all Kenneth Hagin Ministries (KHM) Rhema Bible Church and Rhema Bible Training College productions including Rhema Praise, our flagship television production. The Lead Video Tech/Associate Editor will be an onsite point person for volunteers and fellow crew members, in training, set up, and strike, archiving and maintaining high quality standards. They will work under the direction of the consulting producer. Essential Functions: The Video Editor will set up and strike various video productions. Shoot promos and testimonies as needed. Coordinate and produce remote shoots as needed. Encode and upload on demand videos as needed. Work with the Lead Editor on various projects and programs including obtaining B Roll. All other duties as assigned based upon the changing priorities of the department. Experience/Skills Required: Ability to meet tight deadlines and work well under pressure. Ability to work independently while demonstrating initiative. Professional demeanor and skilled interactions with clients and talent is required. Must take direction and prioritize while managing multiple tasks. Ability to instruct and be the point person for volunteers in regard to training and scheduling. A working knowledge of television editing with experience on Avid and Final Cut Pro. Experience switching and or directing live multi camera shoots a plus. Working Conditions: Duties are regularly performed indoor. Special events may include outdoor activities and duties. Exposure to the elements may be experienced. Duties must be fulfilled and applicant must remain focused and on task in their environment. Hour of Work & Attendance: Ministry operating hours are Monday – Friday 8:00 am to 5:00 pm. Flexibility to work extended hours including some nights and weekends and as scheduled for weekend services. Travel may occasionally be required. Position Summary: The web designer is responsible for creative development and support of RHEMA's websites, social media platforms and email campaigns. The successful developer works in a team environment with writers, editors, designers, video producers and developers. • Experience with content management systems and template techniques. Familiarity with Joomla and WordPress a plus. Job Specifics: Detail-oriented and follow-through are musts. Requires excellent organizational and communication skills and possess applicable creativity. Must be a team player, self-motivated and willing to learn, able to give and receive direction and always keeping end user in mind. Must be able to meet deadlines and perform well in stressful situations. Hour of Work & Attendance: 8:00 a.m.-5:00 p.m., Monday-Friday except during events where hours and travel will vary in order to cover the event. Position Summary: This position can include but is not limited to web design, web content development, client liaisons, client side/server side scripting, responsive design, email campaign design, planning and coding and maintenance of web site. Essential Functions: Aspect of building web sites: writing markup and coding, developing the simplest static single page of plain text and front ends to complex web-based internet applications, electronic business or interfaces between web and software components. Training: 3-5 years experience, formal training a plus. Position Summary: Write, edit, and proofread copy for various products such as books, magazines, brochures, correspondence, and the Internet. Present information in an honest, appealing, informative, concise, and easy-to-understand manner in order to effectively communicate the heart of the ministry. Working knowledge of computers and aptitude to learn new programs. Education: Bachelor’s degree in English, Journalism or a related field is desired but not required if work experience and skill level are equivalent. Professional Experience: 3-5 years writing experience preferred. Web writing is a plus. Job Specifics: Propose and develop ideas for print articles and other projects. Write assigned jobs for Rhema Bible Church and Kenneth Hagin Ministries, and Rhema bible Training Center. This includes but is not limited to news releases, event coverage, letters, and magazine features based on interviews, ads, articles, and items for other departments. Format copy according to department style guide. Communicate with Project Management Design as needed to ensure the best possible product. Adjust all products and other copy to meet the needs of customers, marketing and management. Organize workload for efficient time management and balance. Proofread and edit as needed. Assist Director of Communications and other writers as needed. Thank you for your interest in employment with RHEMA Bible Church a.k.a. Kenneth Hagin Ministries and your desire to assist this ministry in taking hope, help, and healing to the world! Note: All applicants must provide proof of eligibility to work in the United States.